Our journey begins on a cold and frosty morning in Port Lincoln, South Australia. 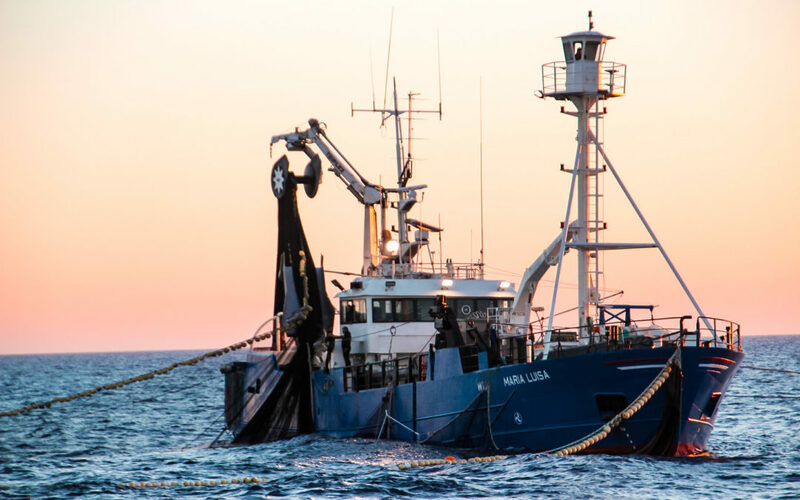 The Maria Luisa has set her sails south and is holding course with a single goal in sight – Australian Southern Bluefin Tuna. 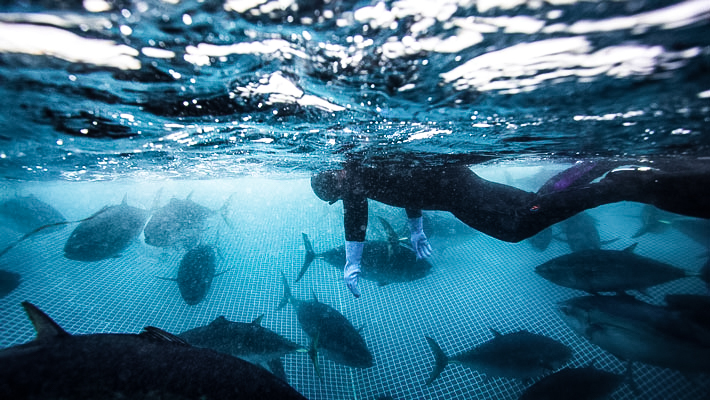 Over the last 30 years, the industry have achieved great milestones in controlled, ethical and sustainable fishing methods making it one of the most respected sectors and one of the top suppliers of high grade Bluefin Tuna in the Australasian market. Not far from the shore, many SBT (Southern Bluefin Tuna) lease sites have been set up in what we call the ‘Boston Bay and Lincoln Offshore Aquaculture Zone’. There are approximately 12 companies maintaining ranch sites in over 100 platoons. 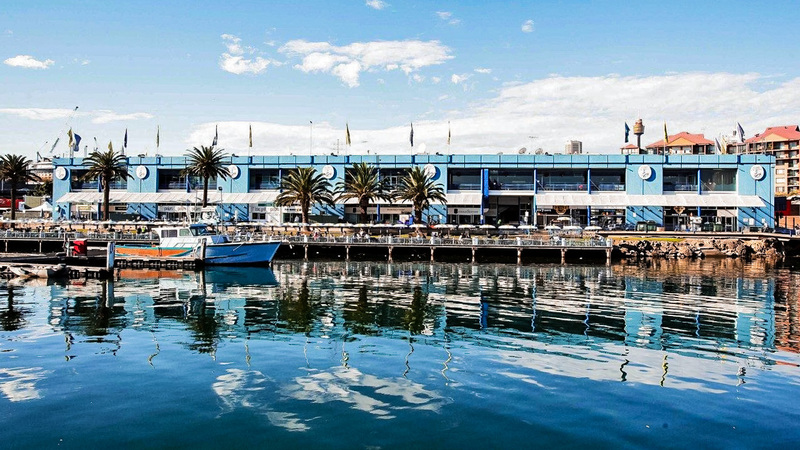 Sydney Fish Market is the largest market of it’s kind in the Southern Hemisphere. 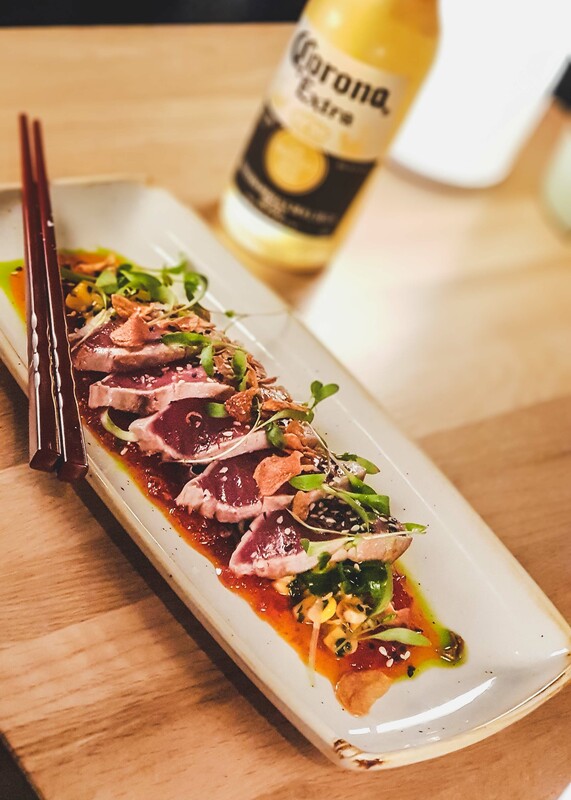 It is here where Garfish source all their fresh seafood on a daily basis, including our Southern Bluefin Tuna. The process is quite simple. Our dedicated suppliers head to the markets early every morning, and place auction on the products we choose that week. 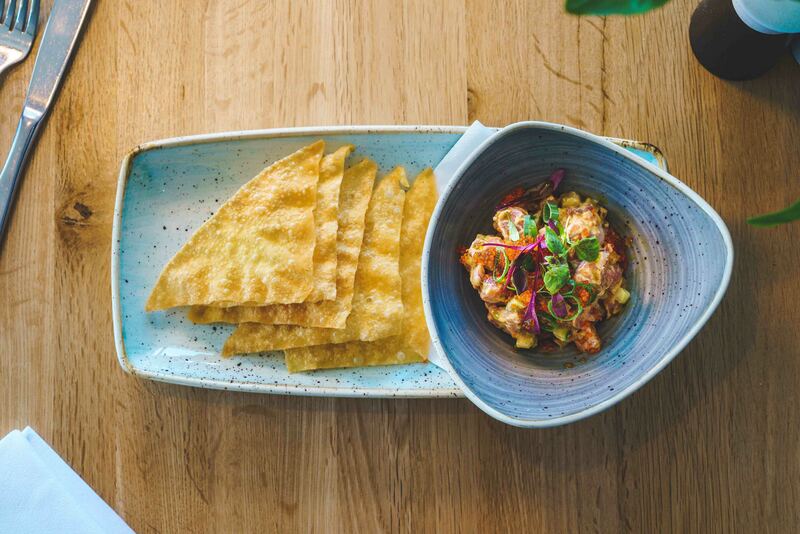 Every day is different, and that’s why our daily fish blackboard is ever changing with sustainable seafood products from all around the waters of Australia and New Zealand. In the case of Southern Bluefin Tuna, we order these especially and within 48 hours we receive our order from Port Lincoln to Sydney to Garfish. 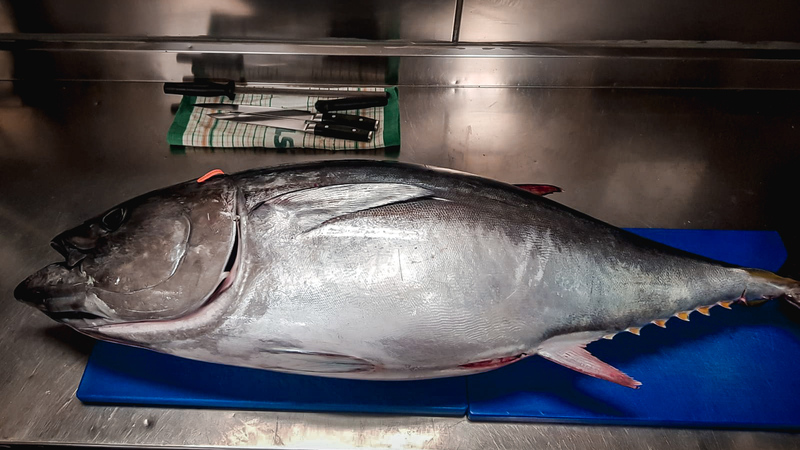 It is here where our expert Chefs fillet the Tuna for use in many dishes. You’ll find many restaurants will simply purchase Tuna which has been pre-filleted at the markets. Although we have this option, Garfish have always been an advocate for maximum use, minimal waste and education. 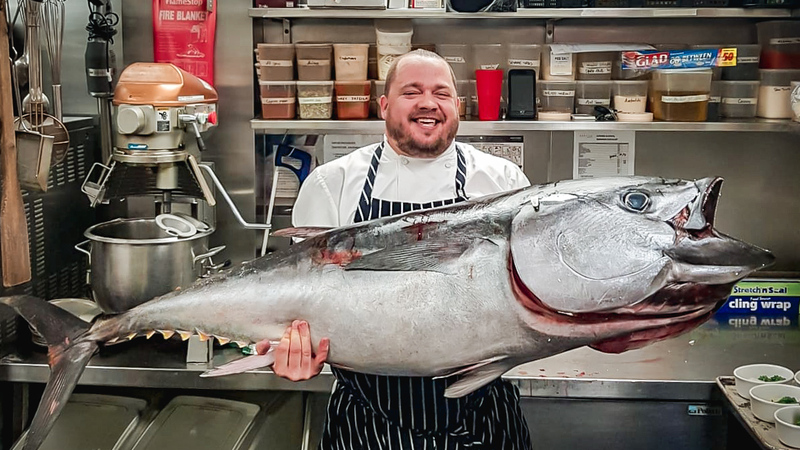 A look behind-the-scenes will often find our head chefs expertly filleting their way through a whole Tuna, or whole Kingfish for use in specials, sauces and many dishes across our menu. From the harsh and choppy South Australian waters, to an almost half a year residence in sustainable platoons, a two day and 2000km journey north to Sydney, to a kitchen at Garfish. It is in this kitchen that our dedicated Chefs design an intricate dish full of passion and flavour and rich in a journey which we feel, is worth telling.